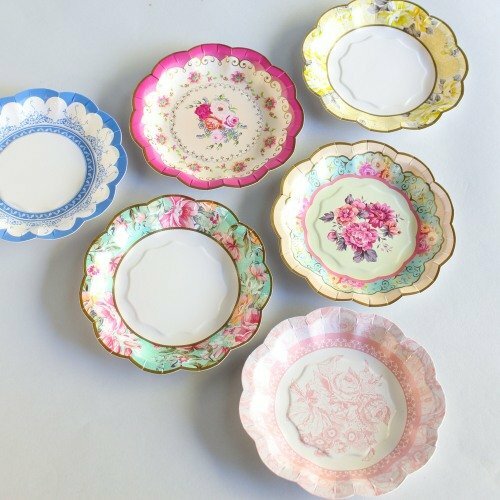 Set the scene at your upcoming tea party with these vintage pretty cake plates. Each set comes with 12 plates in six designs that resemble vintage china. Set along tables for a mix-and-match look-- a popular look for vintage tea parties! Also great for keeping near the dessert and appetizer table for guests to easily enjoy their favorite treats.